After dropping by 17% at the same time last year, new car sales in Taiwan are back up a splendid 25% in March to 34,307 registrations, bringing the year-to-date total to 99,404 units, up 10% on 2013. 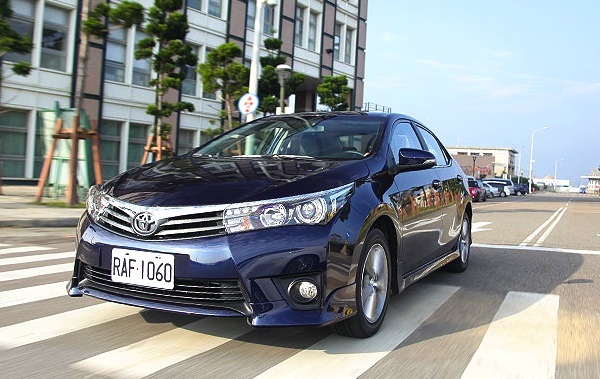 The Toyota Corolla is in euphoric shape this month at 4,451 sales and 13% share, followed by the Toyota Wish and Nissan Sentra both at 4.3%, toppling the Nissan Tiida down two spots on February to #4 and 4.1%. The recently facelifted CMC Veryca continues to shine at #7, the Luxgen U6 Turbo steps out of the Top 10 (just) at #11 and the Mercedes S-Class is solid at #44. Full March 2014 Top 50 models and Top 10 brands Ranking Tables below.